Marijuana brownies are usually the first thing to pop into consumers’ minds when thinking of edibles. But weed edibles actually come in a variety of shapes, sizes, and product types. They can include cookies, gummy candies, sodas, milks, chocolate bars, and pretty much anything you can imagine. With edibles, however, it becomes particularly important to understand your dosage. The effects of edibles can be hard to predict and tend to differ between individuals. Unlike smoking, where tetrahydrocannabinol (THC) enters the body through the lungs, edibles cause cannabinoids (CBD) to enter through the gastrointestinal tract. This process results in a high that is usually much more intense and lasts much longer. Most states in the US mandate that the total milligrams of THC and number of servings be included on edible packaging. This is CannaVerse Solutions guide to the best edibles online. Edibles include a variety of dosages of THC, ranging from as little as 5 or 10 milligrams to as high as 1,0000 milligrams. Edible products manufactured to contain a high dosage of THC should be consumed in multiple, preferably separate, servings. Indulgent and dense edibles such as brownies or chocolate bars take longer to digest, which means it will take longer for consumers to get high. Infused drinks and tinctures, on the other hand, work their magic much faster. According to High Times, weed edibles with a high concentration of THC have a smaller but more dedicated consumer base, and these patients tend to purchase edibles more often than the recreational user. High-dose edible consumers can include very ill patients who need marijuana to deal with the difficult symptoms of cancer and other diseases. Included in this group can be those dealing with severe, chronic pain. Several edibles dealers note that high-dose edibles are popular with insomniacs and others needing help with sleep. Since the legalization of medical marijuana in a number of states across the US, the weed edibles industry has exploded. Many companies have put their edibles online as a quick and convenient way to advertise their products to dispensaries. We’ve found some of the best, most innovative new edibles available online. Ranging from recreational to medicinal dosages, these weed edibles are transforming the cannabis industry. Note that, in 2018 there are fantastic cannabis subscription boxes that deliver fresh new edibles, flowers and all kinds of fun cannabis related goods right to your door. In fact, it was Lucky Box Club that helped us get our hands on some of the more exclusive edibles on this list. Check em out! Cannabis infused coffee has been on the market for some time, but now consumers can brew it in their Keurigs. Fairwinds, based in Vancouver, Washington, makes Catapult Infused Coffee pods. Sold all over Washington, the cannabis K-Cups Pods have been all the rage recently. Weed and coffee go great together and Fairwinds saw an opening in the market and turned it into a successful product line. 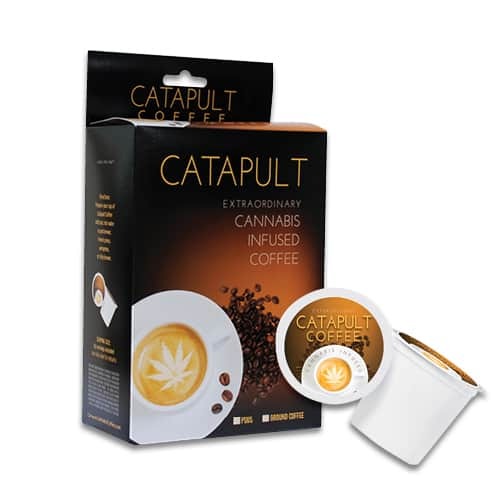 Catapult pods work with standard, single serve coffee makers, and contain 10 mg of THC per serving, or cup. Don’t have a coffee maker? The premium grounds taste just as good and have the same effect if you “pop” the top off and brew it in your French press. Users have reported that the coffee pods have a great balance. The coffee gave them more energy, of course, but they still felt the same level of relaxation that comes with low doses of cannabis. The company’s cannabis-fueled brew has the potential to make that Monday morning commute a lot more enjoyable. PS: A little birdie told us that Fairwinds has an interesting line of new products waiting to be released this year so make sure to follow their Instagram. 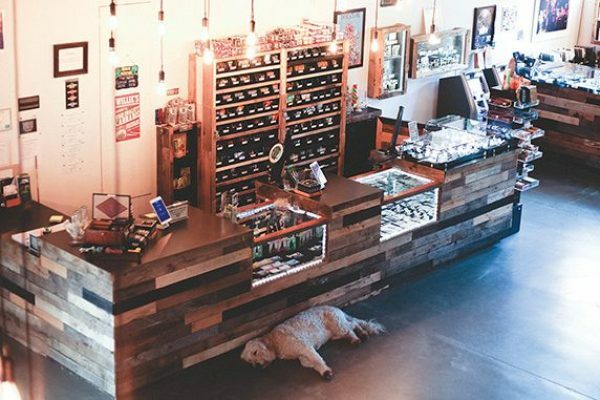 Another Washington-based manufacturer zeroing in on the weed edibles market is Mirth Provisions. 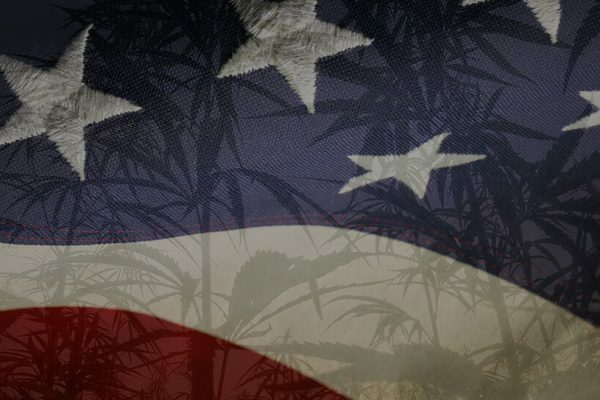 Although the company originally set out to make cold-brewed coffee, Washington regulations in 2015 regarding bottling pasteurized THC products caused the company to shift focus. Now Mirth’s product line, called Legal, consists of sodas and sparkling tonics. Each bottle of their flavored tonics contains 20 milligrams of THC oil, enough for two modest servings. 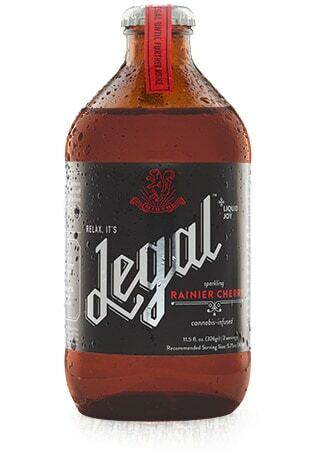 The flavors are available in Pomegranate, Lemon Ginger, and Rainier Cherry, which is made with fresh Washington cherries and locally grown cannabis extract. The Rainier Cherry flavor is infused with a hybrid strain, which is reported to give users a clear-headed yet relaxed high. And because each bottle contains two full servings, each bottle of tonic is perfect for sharing with a friend, spreading out over multiple days, or for doubling up to create a more powerful ride for those more experienced with edibles. Based in Denver, Colorado, Dixie Elixirs is one of the largest and most successful edibles makers in the nation. Led by CEO and co-founder Tripp Keber (one of the stars on the MSNBC reality show Pot Barons) the company makes THC-infused soda, chocolate, cannabis tinctures, cannabis mints, and more. “Let our cinnamon-flavored Synergy Dew Drop cure what ails you,” says Dixie Elixirs on their website. 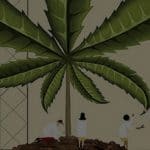 Targeting the medicinal marijuana market, their drops give users powerful anti-inflammatory and anti-anxiety effects. 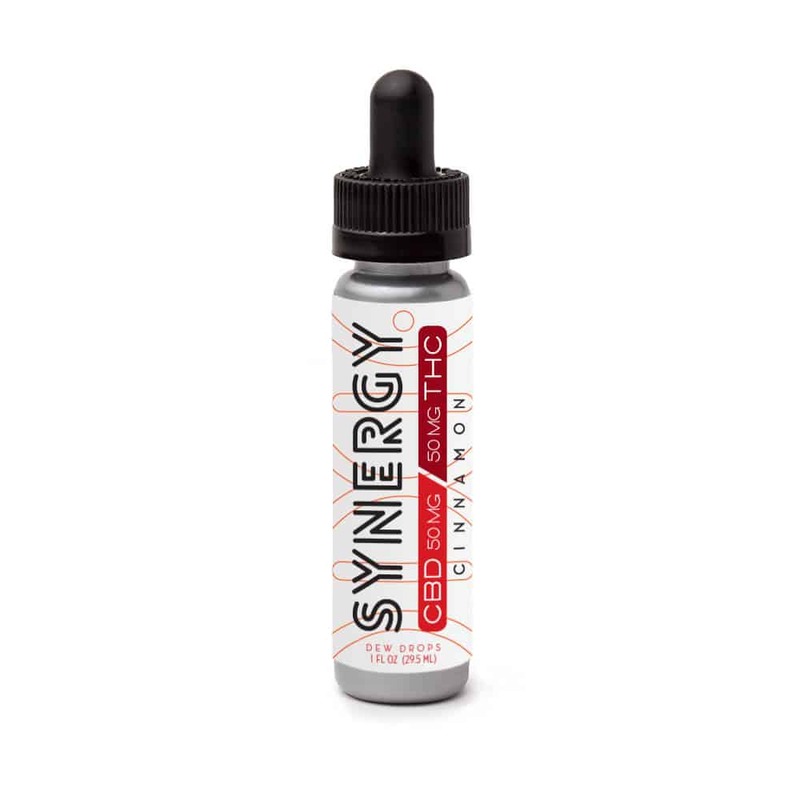 Their formulas are unique in that they make their Synergy products with a 1:1 ratio of THC and CBD, the cannabinoid most commonly associated with the medical benefits of cannabis. So users get a more mild high with noticeable health benefits. The Dew Drops are packaged with a clearly demarcated dropper for accurate dosing. Users are instructed to apply the Dew Drops under their tongue and leave them there for sixty seconds. Dixie Elixirs’ Synergy products are triple lab tested for consistency and quality and boast a low glycemic index, making them ideal for the more health-conscious consumer. 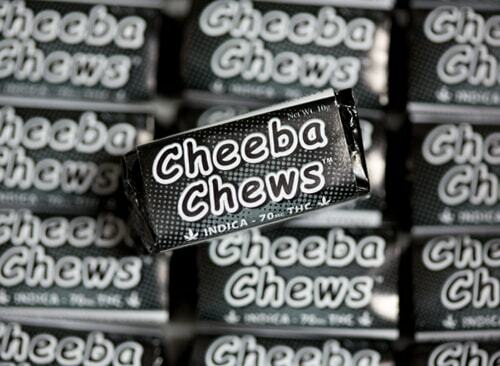 Cheeba Chews is a brand well known throughout the 420 community. Their Cheeba Chews are award winning weed edibles for medical card holding patients in California and Colorado. ¹ It is impressive that 70 mg. of THC is packed into a single bite-sized chewy taffy piece. Users report that these cannabis caramels come on strong and fast. They come packaged one to a box, but it would not be too difficult to cut into smaller pieces. In fact, recreational users highly recommend doing just that. The taste of the chew is classically, leaving no doubt in a consumer’s mind that you they are consuming a very strongly-dosed marijuana edible. Thankfully, they don’t have to eat a lot. With a reputation for consistency, consumers of the Cheeba Chew can be confident that they will have a predictable experience every time they have one. The Quad Dose Chews are infused with Indica. Indica strains most often provide a pleasant body buzz. This makes the chews great for relaxation, stress relief, and for an overall sense of calm and serenity. Indica is also very effective for overall body pain relief, and is often used in the treatment of insomnia. Because the dosages are so customizable, these chews are perfect for both recreational consumers wanting a low dose, and for medicinal patients seeking pain relief. Auntie Dolores is a San Francisco-based company that makes gourmet weed edibles. Their snack line features items such as salty pretzels, glazed pecans, cannabis caramel popcorn, cheese biscuits, and cocoa cookies. Each product is infused with cannabis oil. The snacks come in a tube container that looks plenty more upscale than a typical homemade pot brownie. They are vegan and free of sugar. Their savory pretzels are a gourmet twist to an all-time favorite. Umami spices deliciously mask the flavor of cannabis. And because the pretzels are bite-sized, they are a fun and easy way for users to consume marijuana on the down-low. They are also a breath of fresh air for users with savory palettes instead of sweet. They are a great option for medical patients in search of an infused edible that they can snack on throughout the day. 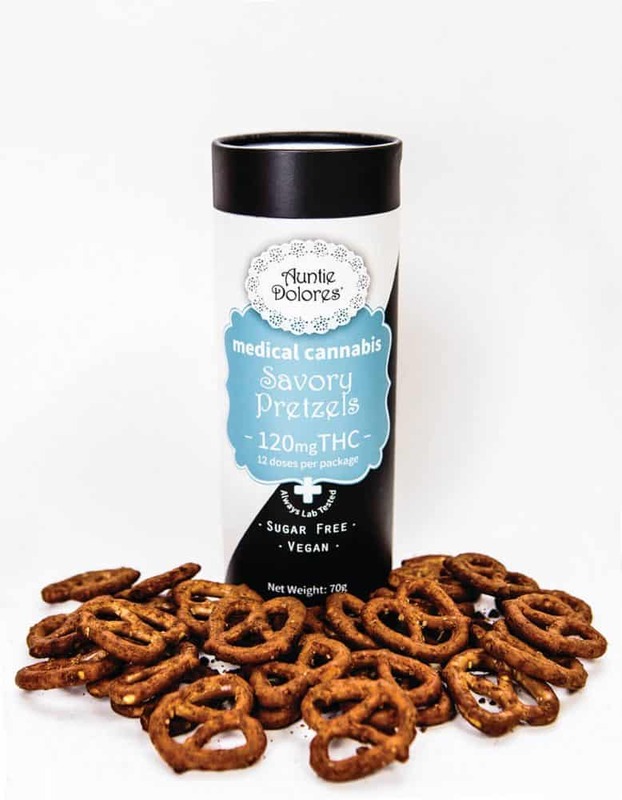 Each pretzel is individually dosed at 10 mg. of THC, so users know exactly how much they are snacking on. This way they can gradually increase their dose as needed without feeling overly medicated. ² It is nice to have a choice between Sativa and Indica varieties when choosing edibles, and Hashman does not disappoint or skimp on choices. Hand-crafted in Santa Cruz, California, their line of chocolates feature a high-quality variety of weed edibles for every type of consumer. Hashman recently redesigned their chocolates packaging, which makes it easier for users to understand how much they are consuming. 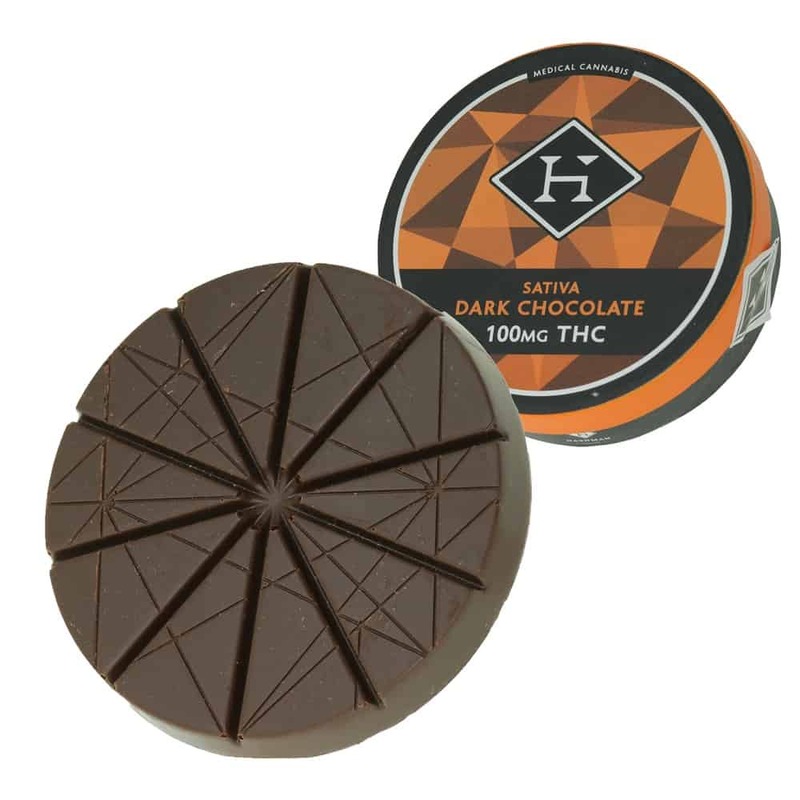 Hashman’s chocolate is now a wheel that is cleverly divided into ten segments of 20 mg. THC each. With a slight cannabis undertone, this chocolate is subtle yet tasty, perfect for users who want to treat themselves. Each Hashman chocolate wheel is lab tested for purity, potency, and consistency. All their products are vegan and organic. 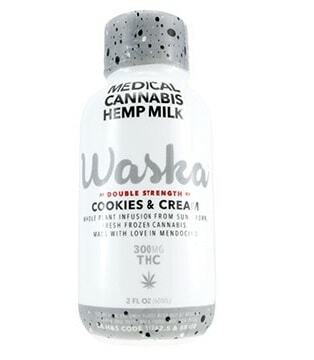 ³ Waska is a company based in Mendocino, California that creates non-dairy hemp beverages using a large variety of high quality cannabis strains. Their beverages are infused with raw cannabis flowers that bind to cannabinoid receptors before entering the bloodstream. The staff at Buds and Roses dispensary in Los Angeles claim this is one of their most popular high-dosed edibles, particularly for people with sleep problems. The small 2-ounce bottle packs 300 mg. of THC into just a few sips of vegan, gluten-free, non-GMO hemp milk. Weed edibles customers describe the product as well made, well labeled, and reasonably healthy. This Cookies & Cream flavored infused hemp milk is deliciously sweet and slightly herbal. It should come as no surprise that it makes a great tasting cannabis milkshake. Waska has made this potent beverage incredibly convenient for consumers who want to ration it and dose as needed. The Cookies & Cream marijuana milk has an exceptional lifespan and can stay for a month in the refrigerator or up to a year in the freezer. Each batch is lab tested so patients know precisely the dose they are getting with every sip. Many users have been reported adding it to their tea or smoothies for a different taste sensation. The health benefits of hemp milk are also a factor as hemp seeds are rich in omega-3 fatty acids that help keep your blood pressure and cholesterol in check. Venice Cookie Company is a California-based company committed to creating a thriving cannabis industry that benefits everyone through innovation, education and advocacy. 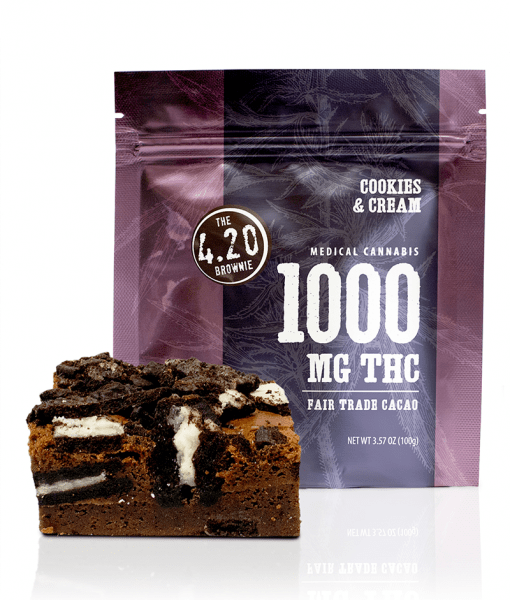 Most recently they have been the talk of the industry with their 420 brownies that pack a whopping 1,000 mg of THC into a single, normal-sized brownie. In the world of weed edibles, pot brownies are the ultimate comfort food. The 420 brownie proves to be just that, with a rich and creamy texture that lends itself to cutting into proper portions with no crumbling. Considering the hefty dosage, the ability to portion it out is especially important. While definitely not the healthiest choice on the list, this edible is perfect for those users who just want to relax on the couch with a brownie and a tall glass of milk… just please, do not eat it all in one sitting! I live in Ohio and am interested in what I can do to maybe start procuring medical marijuana,;dispensaries were supposed to be opening here at the end of summer and I would like to see if I can get it online. 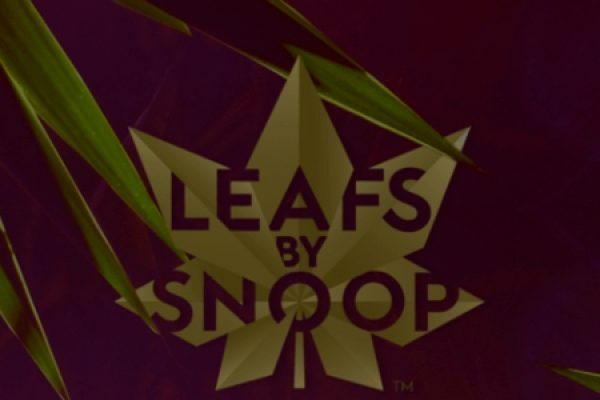 Many thanks for posting list of some best cannabis products on this blog!  Keep sharing more blogs with more updated information. 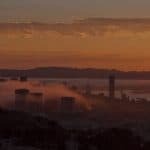 Yes, some of the products on the list do offer shipping around California. Check with local dispensaries and delivery services first and otherwise, you can always order a Lucky Box Club Subscription. Will you ship to any state in the united states, with proper mailing fee’s of course? Thank you!! !